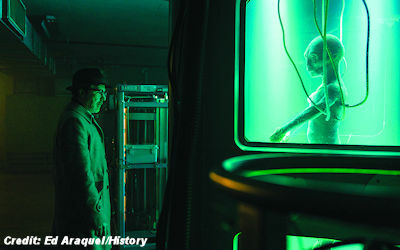 During the 1950s and 1960s, were extraterrestrials visiting the United States? At the time, a spate of panicky sightings of unidentified flying objects (UFOs) thought to be "alien" in origin were reported across the country, prompting the U.S. Air Force to create a top-secret program dedicated to the investigation of unexplained phenomenon related to UFOs. UFO Sightings in Project Blue Book Covered Up?